Heart of Bath Medical Partnership has a dedicated Clinical Research Team based at Oldfield Surgery, with considerable experience and enthusiasm for recruiting patients into a variety of research studies. We are proud of our efforts and achievements to date and keen to develop and grow this service in future… but we need your help. ‘Modern medical care is based on evidence from research, leading to the development of new patient treatments. 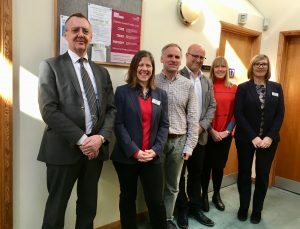 Oldfield Surgery patients are able to participate in this research, giving them opportunities to contribute towards the progress of future medicine developments. We would like to thank the hundreds of patients who have taken part in research at Oldfield Surgery over the years. Their contribution has potential to help make the care we provide even better for the future’. If you are a patient who would like to get involved in research, Mary and Becky would love to hear from you. With over 25 years experience of commercial clinical trials in all major treatment areas, Dr Patrick Eavis is the GP Champion for the National Institute for Health Research, and also a past member of the local Local Research Ethics Committee. With 25 years experience working in phase 2,3 and 4 clinical trials, Dr Johnson has dedicated commercial trials sessions with the team and is leading the surgery on recruitment. Mary Anne has experience in primary and secondary care research and also works as a facilitator and joint programme lead for a National Institute for Health Research communication course.